New Arcana India, is a well-recognized company based at New Delhi, India which is involved in manufacturing Electric Rickshaws which help in preventing pollution as they are an alternative to the vehicles driven by fuels. 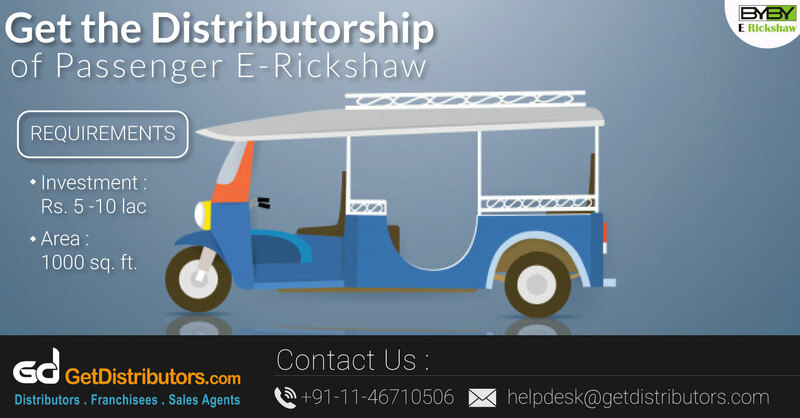 We offer eco-friendly vehicles at reasonable prices so that people choose e-rickshaws as an alternative to the vehicles driven by fuels which create pollution. We are in need of State Oriented Distributors who can aid us in our diversification plans across India. What are the varied kinds of products that we do provide in the market? What are the Distributorship Credentials? What are the benefits given to our Distributors?